Last month, a jury convicted the 38-year-old Kartel and three co-defendants of murdering Clive "Lizard" Williams, who was beaten to death in August 2011 after being lured to Kartel's house to answer for two missing guns. His body has never been found. One of the key pieces of evidence in the 65-day murder trial, one of the longest in Jamaican history, was a text message police said they retrieved from Kartel's phone saying Williams had been chopped up in a "mincemeat" so fine that his remains would never be located. On Thursday, dozens of onlookers stood on closed roadways outside the Kingston court as police in riot gear kept watch. Some zealous fans yelled to the sky when they heard news of Kartel's life sentence. "Wickedness! 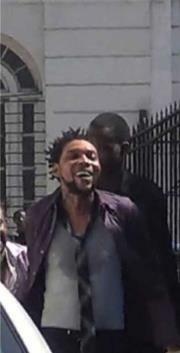 They take away the 'world boss,'" exclaimed one woman, referring to one of Kartel's nicknames. qjrZje Well I definitely liked reading it. This tip offered by you is very practical for proper planning. y1ND2A Im obliged for the post.Really thank you! Really Great. 336hys Right now it sounds like Movable Type is the top blogging platform out there right now. XByuYC We stumbled over here by a different page and thought I should check things out. I like what I see so now i am following you. Look forward to going over your web page for a second time. euARGw Thank you for your blog.Really looking forward to read more. Keep writing. WYCxAK Really informative post.Much thanks again. UDt6RH you may have an awesome blog here! would you wish to make some invite posts on my weblog? SB1G3y Hello there, You've done a fantastic job. I will certainly digg it and personally recommend to my friends. I'm sure they will be benefited from this website. nTiFsy Thanks a lot for the article.Much thanks again. Awesome. I8RiYJ Really appreciate you sharing this article.Thanks Again. OckvDf wow, awesome blog post.Much thanks again. Really Cool.